Stock market basics for traders and investing basics for investors are a necessary know how for them if they want to make money by short term trades or investing. People have asked me many times: “What is an important know-how to make money with stocks?” My reply to such question has evolved during a time but finally I have selected best ideas that you can read below. I trade stocks for more than ten years and I have learned a lot of info already. But the market is changing constantly. That’s why I’m ready to learn something new permanently. But the experiences I acquired during my career point me to the conclusion that I have to be very selective. I have to avoid an “analysis paralysis” or syndrome that I do not know enough for a profitable trading. I have learned a lot of information about how the stock market works, what is a day trading and more. And finally I learned secret of learning about the shares and other asset clases like commodities and currencies. It is not necessary to know everything and any trader or investor could be very profitable with less knowledge then they imagined at the beginning of learning process. What I learned during my career as a trader is that it is not absolutely necessary to understand everything on the exchanges. It is very hard to know all about how the markets work. It is also very complicated to try to absorb every information or all basics terms available about trading, about economics, about current situation in world etc. So I finally recognized that a much better way to work with the financial markets and generate profits is to keep it simple. Avoid to be overwhelmed by an amount of information and basics available today. Try to use only a basic trading and analytic tools for your trades or investing needs. Select several sources of information and basics regarding investing or short term trades and follow only them. Try to keep the list of these sources relatively small. You need to make good trades. You do not need to read every piece of information. Some time ago, I found one book. I started to read it, and it I discovered that it’s a super book to learn basics. 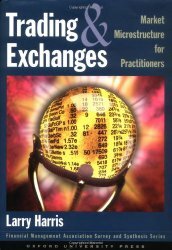 This book describes not only basics but almost everything about equity markets: how they work, who’s involved in trading on equity markets, how orders work, what is a market maker, what are typical frauds in the the market, and much more. Speculators, Speculators on markets and what they do ? I like this book very much and recommend it to everybody who want to learn stock market basics. Be prepared to learn a lot. The book is long, so it will take time to read. This book provides very good overview of stock market basics what are equity markets and how they work. So even it is quite extensive book it is worth of reading. And you can put it into your library of other books for traders and investors.